FEATURE — Keep your perennial gardens looking their best throughout the hot summer months with a bit of midsummer grooming and care. Investing time midseason means you’ll be enjoying beautiful gardens now through the end of the growing season. 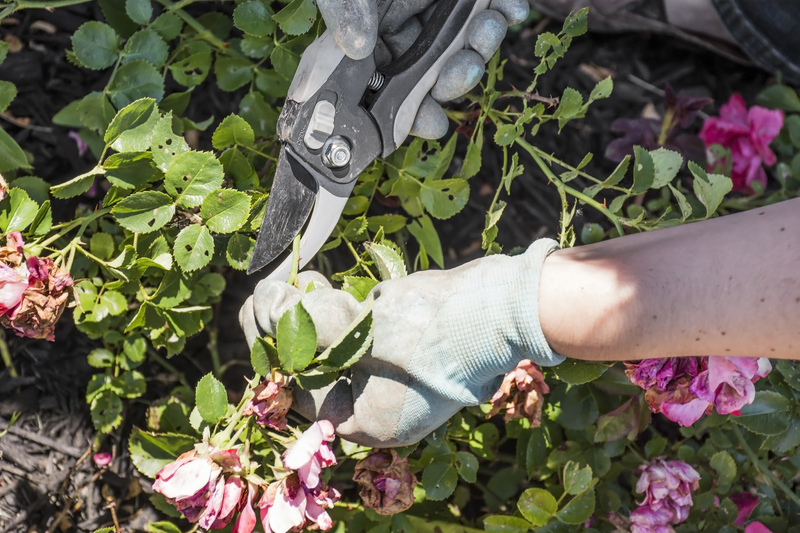 Start by deadheading, removing faded flowers, to improve the plants’ overall appearance. It won’t extend bloom time on all perennials but will keep some like bergenia, lamb’s ear, peonies and perennial geraniums looking neat and tidy throughout the summer. Deadheading will encourage an additional flush of flowers on many perennials including bee balm, coral bells, daylilies, fringed bleeding heart, phlox, purple coneflowers, salvia, veronica and yarrow. Cut spent flowers back to the nearest set of side shoots with flower buds or healthy leaves on perennials like coneflowers, catmints, salvias, shasta daisies, turtlehead and veronicas. On daylilies and balloon flowers, remove individual flowers on the flower scape (stem) as they fade. Once all the individual flowers have faded and been deadheaded, remove the whole flower stem. Prune flower stems back to a rosette of leaves at the base of the plant on coral bells, hosta and lamb’s ear to keep these plants looking their best. Shearing a plant, also called cutting back, is a pruning method that removes large amounts of plant material in one fell swoop. This method is useful for plants with an abundance of small flowers, such as creeping phlox, rock cress and threadleaf coreopsis. Also consider digging and dividing threadleaf coreopsis every few years to promote continuous bloom. By now, mums and asters ought to have been pruned to 6 inches throughout June with no more pruning in July. Pruning for late summer and fall blooming perennials should have been completed by early July. Early season pruning encourages more compact growth and can be used to stagger bloom times. 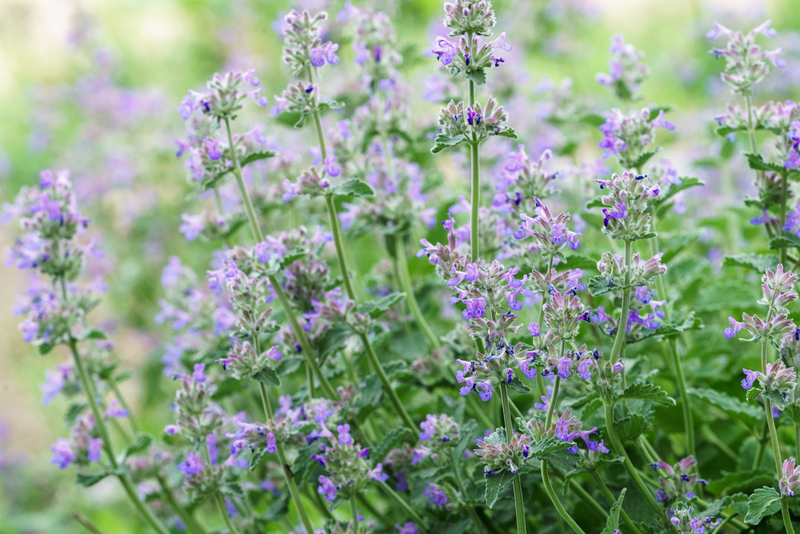 Manage flopping growth on plants such as Walker’s Low Catmint by cutting the plants back halfway. Cut back salvias and Veronicas after the second flush of flowers to promote compact growth and additional bloom. Thin out overcrowded plants by removing some stems to the ground. This increases light penetration and airflow to the plants, reducing the risk of disease. Use ground level pruning on bleeding heart and other perennials that dieback midseason. Dead leafing, a technique used to remove or trim back discolored foliage, allows the flowers to remain the center of attention. Stake plants in need of support to prevent perennials from flopping. This will reduce disease and increase beauty. Although it’s always best to put stakes and supports in place as plants emerge in spring, you can still add a bit of support midseason. Use bamboo stakes and ties, twigs woven into stems or other attractive or virtually invisible stakes. Then mark next year’s calendar to remind yourself to put stakes in place in spring as plants emerge. 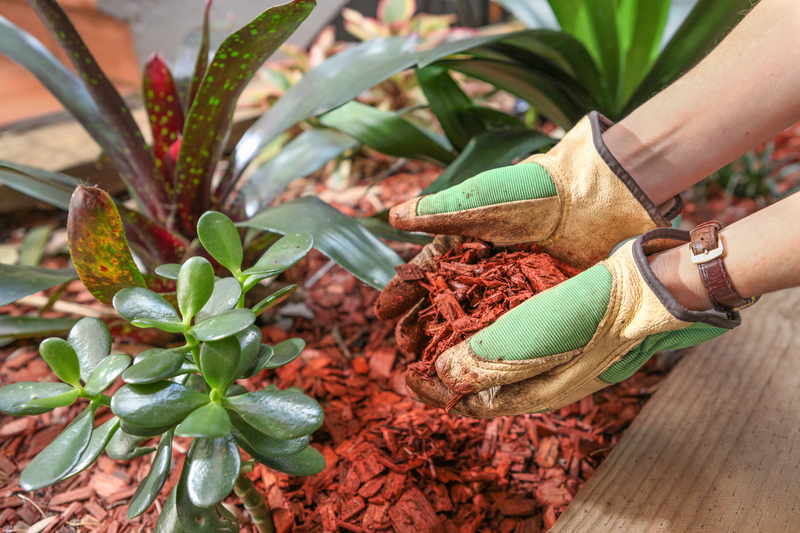 Spread a thin layer of mulch such as shredded leaves, evergreen needles, twice-shredded bark or other organic material over the soil surface. Mulching conserves moisture, suppresses weeds, keeps roots cool during hot weather and improves the soil as it decomposes. Continue to remove weeds throughout the season to eliminate competition for water and nutrients. Removing weeds before they form seeds eliminates hundreds of weeds you’ll need to pull in next year’s garden. Weeding also reduces the risk of insects and disease in your garden, since some weeds attract pests and serve as hosts for diseases that can damage perennials. 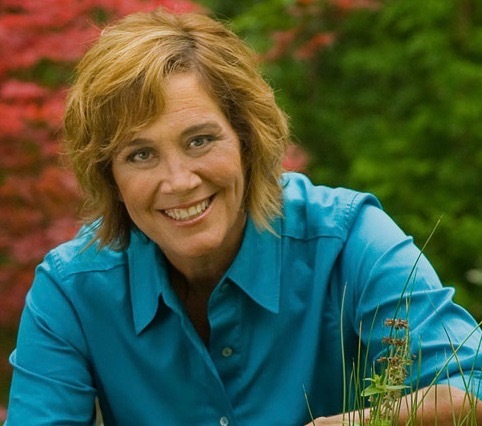 Plant perennials or annuals to fill voids or mask declining spring bloomers. Water new plantings often enough to keep the roots moist for the first few weeks. Eventually switch to thorough, less frequent watering to encourage deep drought tolerant roots. And don’t forget to mulch the soil right after you plant to keep roots cool and moist. Once your perennial gardens are spruced up, it’s time to sit back and enjoy the beauty you’ve created.